Richard C. Kosek, age 83, of Silver Lake passed away on Wednesday, January 23rd, 2019 at The Glencoe Regional Health Services from a lengthy illness. He was born on August 7, 1935 in Hale Township, McLeod County the son of Henry & Elizabeth (Nowak) Kosek. Richard was formerly employed for Frank Bren Saw Mill in Silver Lake and also worked for a farmer custom spraying and milking cows. 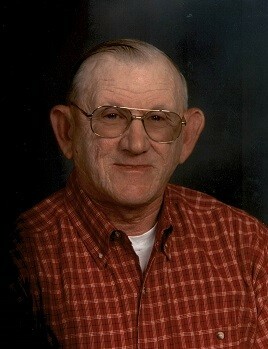 He was fond of fishing and deer hunting. Richard also enjoyed having coffee with his coffee buddies! He liked going to high school football games and watching The Minnesota Vikings. Richard belonged to Holy Family Catholic Church in Silver Lake. Survived by his brothers: Clarence (Doris) Kosek of Glencoe and Jerome (Marlyce) Kosek of Silver Lake; fourteen nieces and nephews, thirty-two great nieces and great nephews, eight great, great nieces and great, great nephews and cousins. Preceded in death by his parents, a brother Ernest Kosek Sr. and by a sister-in-law Stella Kosek. A Mass of Christian Burial for Richard Kosek will be held on Tuesday, January 29th at 10:30 at Holy Family Catholic Church in Silver Lake. Father Tony Stubeda will be the Celebrant. A visitation will be held on Monday, January 28th from 4-8 P.M. at The Maresh Funeral Home in Silver Lake. A Prayer Service will be held at 7:30 P.M. Further visitation will be held on Tuesday morning, January 29th at the funeral home from 8:00 A.M. until 10:00 A.M.
Honorary Casket Bearer will be Ernie Kosek Jr.
Casket Bearers will be Gary Kosek, Dale Kosek, Jim Kosek, Loren Kosek, Jamie Miller and Warren Von Berge.